I have a very exciting day to tell you all about – JUNE 8TH is Best Friend Day!!! Best friends deserve a “Thank you” for everything they have been through with us and sometimes best friends just need to go out of the ordinary to show their appreciation for each other. That’s why I decided to make a special collection of my favorite picks of Chloe + Isabel jewelry for Best Friend Day, so that you can show your BFF how much you love them! Check it out & get shopping! 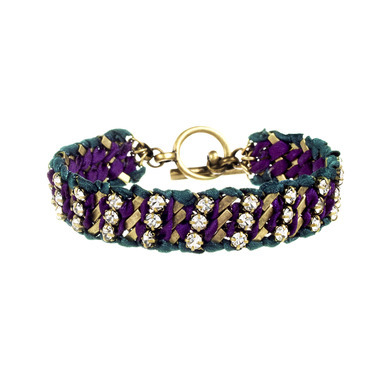 I think the crystal studded ribbon chain bracelet is a perfect pick, because it reminds me of the friendship bracelets we used to wear as kids! 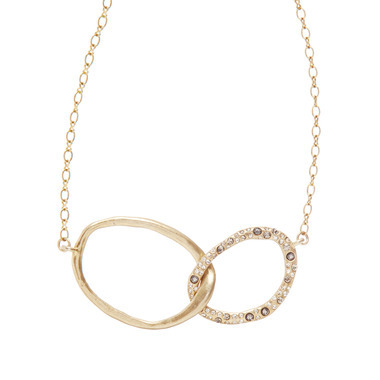 Or the interlocking double link pave necklace because it represents the bond between two best friends. Best Friend gifts should be unique, thoughtful, and perfect because no one knows us better than our best friend. C+I has something for every kind of BFF!